HBCU Spirit of America Bowl standout Jylan Ware was selected by the Oakland Raiders in the seventh round of the NFL draft yesterday. Ware, a 3-year starter on the offensive line at Alabama State was selected by the Raiders with the No. 231 overall pick. At the inaugural HBCU Spirit of America Bowl, Ware impressed the NFL scouts in attendance, including Oakland’s Raleigh McKenzie, who had an opportunity to watch him during the four scheduled practices and to spend time with Jylan during an individualized personal interview at the game’s headquarters. Raleigh indicated during the weekend events that he was impressed with Ware’s footwork, size, and strength. Eric Galko, contributor at the Sporting News and owner of Optimum Scouting, was instrumental in bringing Jylan to the HBCU Spirit of America Bowl. In his pre-draft assessment, Galko stated, “Jylan Ware is the best offensive tackle you haven’t heard about yet. A 6-8 left tackle with elite traits and mauling capability, Ware is the offensive tackle you hope your team drafts on Day 3…”. The Raiders saw a great fit for Jylan and see great upside in developing him into a starter on the offensive line. 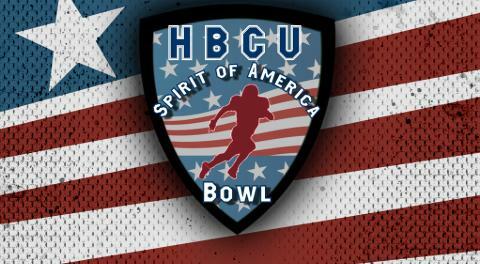 The HBCU Spirit of America Bowl, hosted by Cutting Edge Sports Management, is an all-star game celebrating the student-athletes at our nation’s celebrated HBCU schools will celebrate the tradition, heritage, community, and culture of HBCU football with its athletes, fans, students, and alumni, capturing the spirit and lifestyle found on the over 100 HBCU campuses around the nation. CEO Neil Malvone believes Jylan’s success is the roadmap for other HBCU players and programs. “We are proud of Jylan and happy all of his hard work has paid off. Our games and weekend events were created to offer the true-student athlete at HBCU programs one last opportunity to showcase their skills and prove they can play at the next level,” stated Malvone following this year’s draft. Ware is the first Alabama State player drafted by an NFL team in 10 years since the Indianapolis Colts drafted ASU defensive back Michael Coe in the fifth round in 2007. CESM is a full-service leader in sports management with areas of expertise in event planning, business management, player development, and media relations. CESM creates innovative all-star event competitions at every level of sports. The CESM difference is to continue to revolutionize the sports industry with strategic partnerships. At CESM, the athletes come first to maximize their potential and get them to the next level.